Every special event calls for a touch of originality to make it more memorable than the one before. 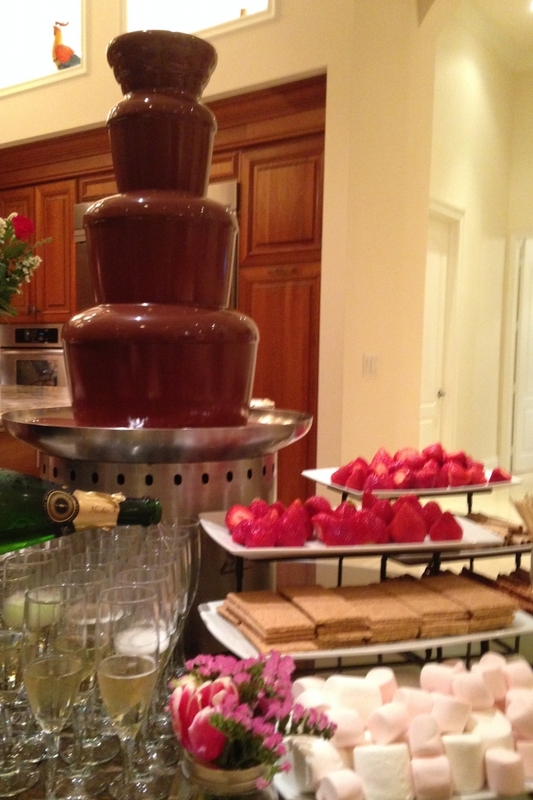 The Chocolate Fountain is a fun conversation piece as it attracts guests to dip fruits and complimentary desserts into a cascade of rich and ever-flowing chocolate. Give your guests the ultimate dessert experience to remember at your next gathering! Includes choice of fondue, dip toppings and serving flatware. Setup and delivery. Starts at $350, contact us for a quote!